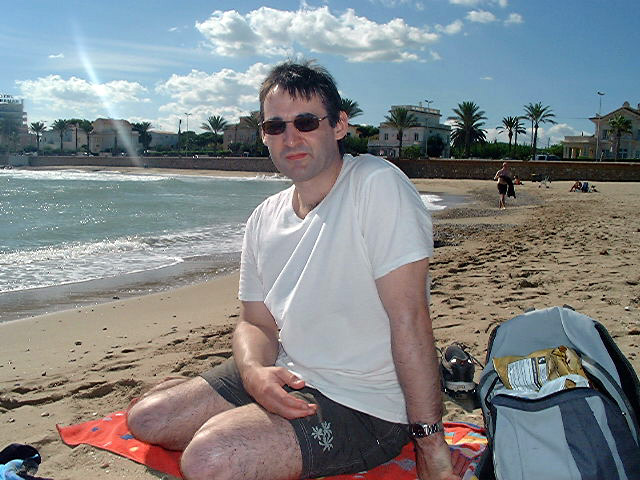 Page 1 of 6 Andy on the beach, Sitges, September 2006. 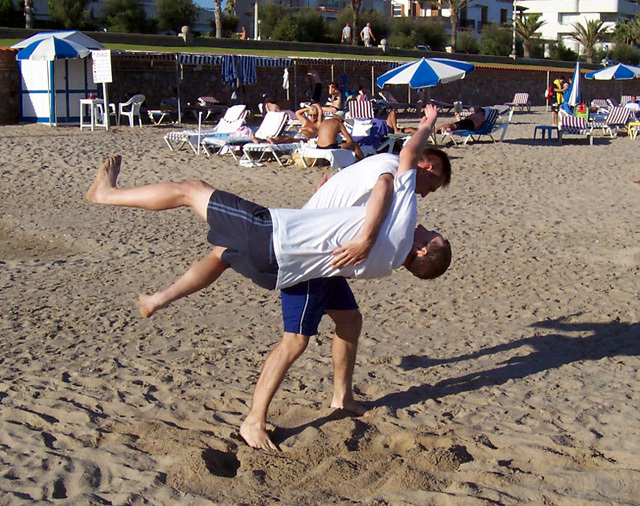 Chris and Andy on the beach. 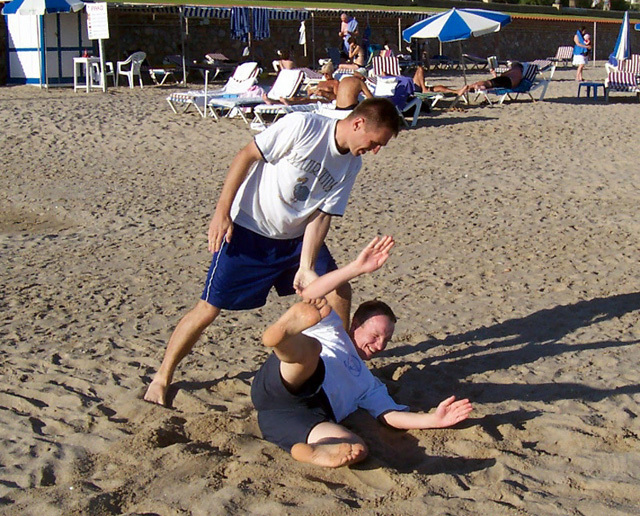 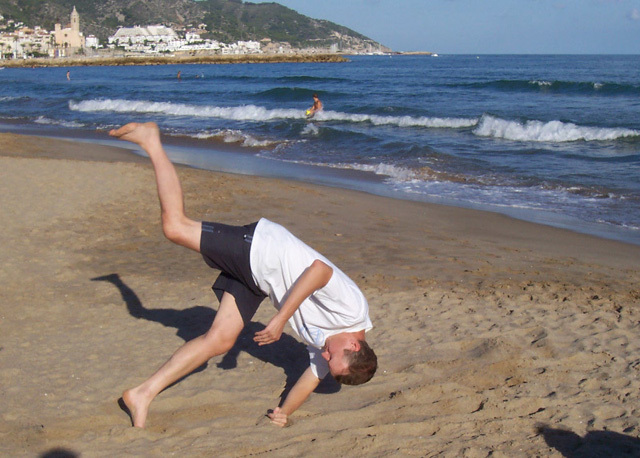 Andy practices rolling breakfalls on the sand. 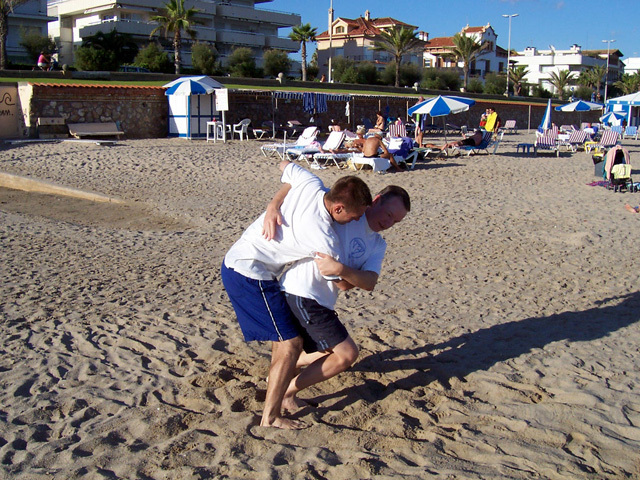 Chris does a hip throw on Andy. 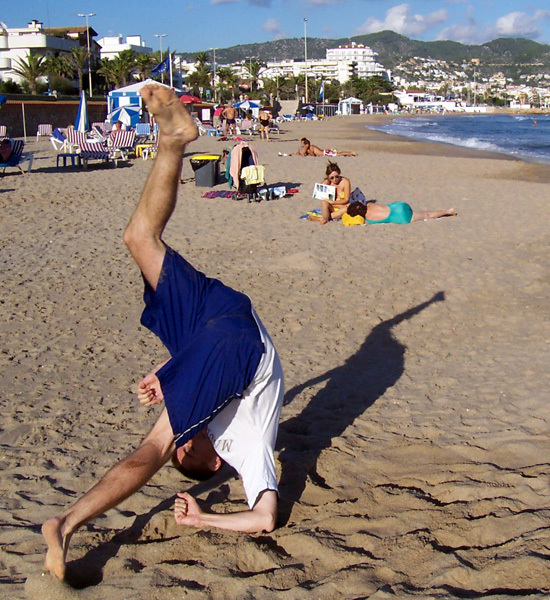 Chris does breakfalls on the beach. 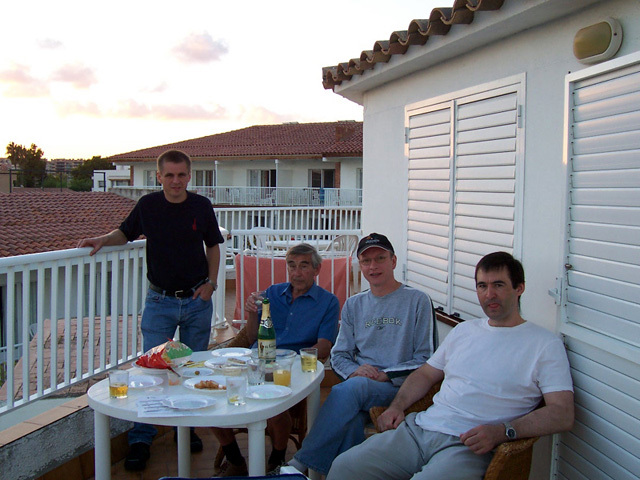 Chris, Brian, Andy and Mike feasting on the balcony. 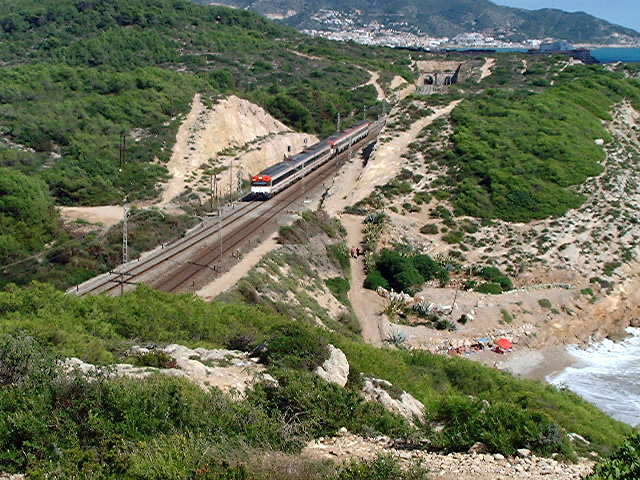 Overlooking the gay beach in Sitges.